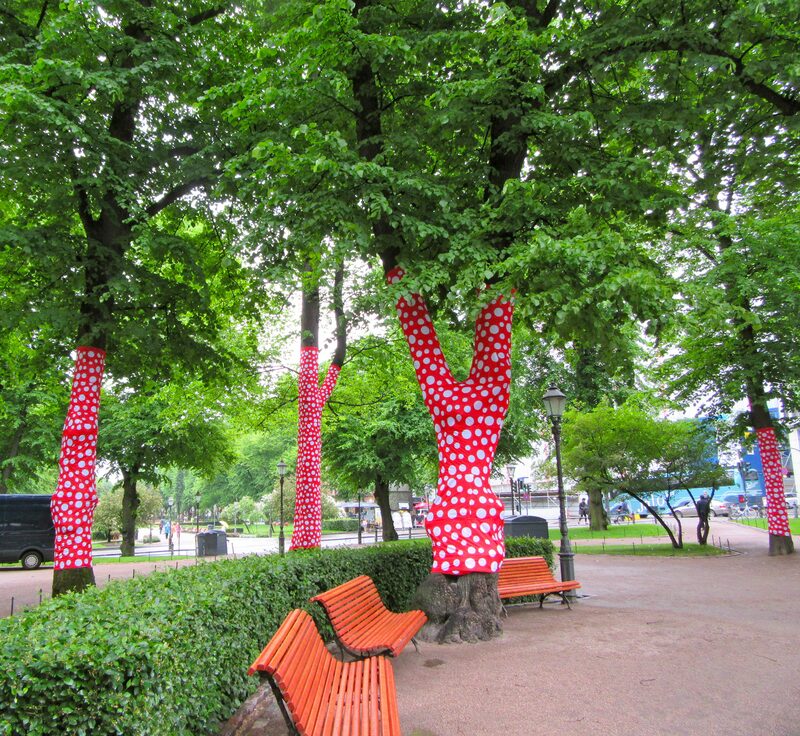 We only had four hours off the ship to explore Helsinki, Finland, but despite the cold and rainy weather, luck was on our side; as the Universe guided us directly to the foot of Esplanadi Park, the site of Yayoi Kusama’s latest installation of Ascension of Polka Dots on the Trees. Holy crap! We had no idea it would be there, but the impossible-to-miss red and white polka dot fabric-wrapped trees screamed “This is a Kusama Thing!” at us from across the road, and we journeyed over to investigate. There are no accidents. 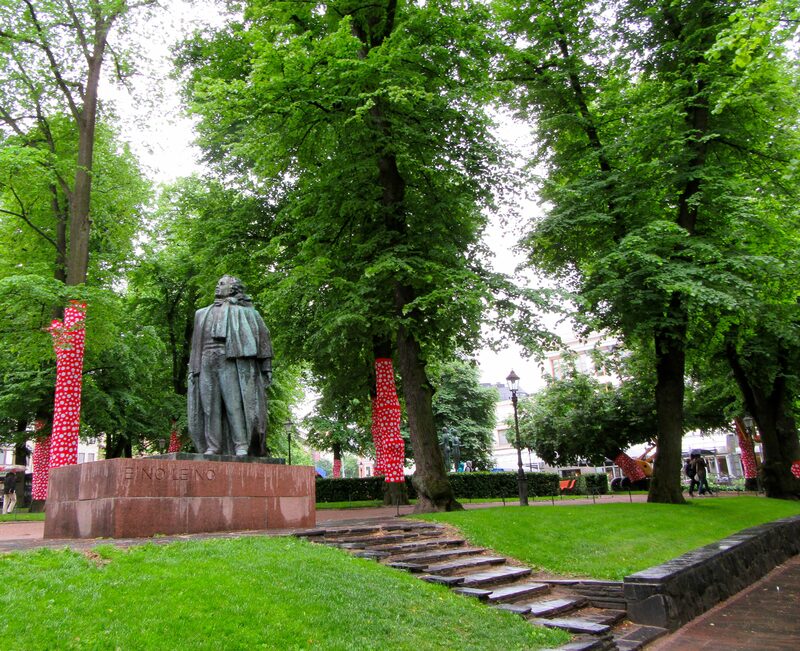 While we found it on Thursday, June 9th, the work was officially unveiled on Helsinki Day, June 12th. It will be on display for all to enjoy until October 9th, 2016. 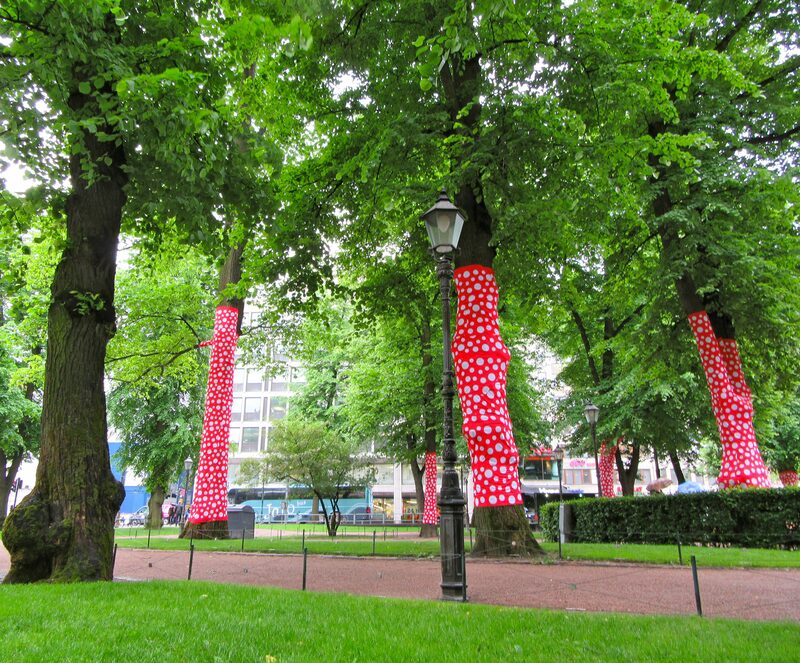 Ascension of Polka Dots on the Trees has previously been on show in London, Singapore, Moscow and elsewhere. Romero Britto is a Brazilian artist who is also a painter, sculptor, and serigrapher. This pop art artist played a very crucial role in the pop art movement. He was born in Recife (North part of Brazil). The childhood of Romero Britto was very modest. That’s why he had not that much amenities.